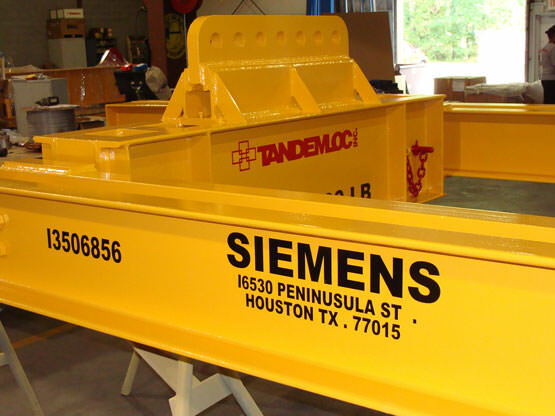 Whether you have damaged your lifting device and needed repaired or simply need us to perform the necessary user responsibilities for the maintenance of your lifting device, Tandemloc has the answer. The following is a brief description of services we can provide to service, refurbish and recertify your lifting device. However, you may have specific requirements required and we would be happy to review those and quote. Have you purchased a Tandemloc lifting device in the past? Has your warranty expired? Would you like a certified inspector to check your lifting device and sling? How does another 1 year warranty sound? Would you like to reduce your exposure to liability that occurs with below-the-hook lifting devices? 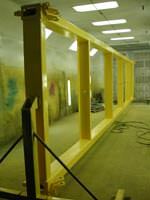 Tandemloc offers maintenance, repairs and proof testing services for all previously sold Tandemloc lifting devices. 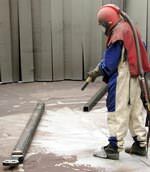 Our services offer inspections performed by our certified inspectors using documented procedures that are in accordance with ASME B30.20 standards. Our inspectors have been trained and certified by 3rd party engineers to visually inspect and qualify lifting equipment. Have you purchased a Tandemloc lift device, but also use another source’s wire rope sling? No problem. Tandemloc offers not only lifting device inspection personnel, but is also certified to inspect wire rope and alloy chain slings via ASME B30.9 Sling standards. For Service and Maintenance of Autoloc Spreaders, please refer to the Maintenance Manual available on the Autoloc web page. Note: Any necessary part replacement will be recommended to the customer. If customer agrees to replace specific parts, additional fee may be incurred, however, must be approved by the customer prior to replacement. ASME B30.20 requires that the user of below-the-hook lifting devices maintain their lifters in good working order, which ultimately protects the user from exposure to liability and unsafe working environments (according to OSHA 2232.) Not only does ASME B30.20 require maintenance of the lifting device, it also requires that inspection be done by a qualified inspector. A qualified inspector is a person who, by possession of a recognized degree in applicable field or certificate of professional standing, or who, by extensive knowledge, training, and experience, has successfully demonstrated the ability to solve or resolve problems relating to the subject matter and work (Section 20-.02 of ASME B30.20). Tandemloc’s inspectors are certified and qualified to visually inspect your product by the standards set by ASME B30.20, AWS D14.1, and SNT-TC-1A. Structural members for deformation, cracks, or excessive wear on any part of the lifter. Loose or missing guards, fasteners, covers, stops, or nameplates. All functional operating mechanisms and automatic hold-and-release mechanisms for maladjustments interfering with operation. Cracked or worn gears, pulleys, sheaves, sprockets, bearings, chains, and belts. Prior to initial use, all new, altered, modified, or repaired lifting devices should be tested and inspected by, or under the direction of, a qualified person and a written report be furnished by such a person, confirming the load rating of the lifter. The load rating should not be more than 80% of the maximum load sustained during the test. Test loads shall not be more than 125% of the rated load unless otherwise recommended by the manufacturer. Test reports should be available. The load test, if made, shall consist of the following operations as a minimum requirement. Hoist the test load a sufficient distance to ensure the load is supported by the lifter, or apply the required load if the test is made using a test machine. After the test load is released, visually inspect the lifter for deformation, cracks, or other defects. Altered, repaired, or modified lifters shall be tested by a qualified person, or a designated person under the direction of a qualified person. This test may be limited to the provisions affected by the alteration, repair, or modification, as determined by a qualified person with guidance from the manufacturer. Maintenance Program. A maintenance program should be established and be based on recommendations made by the lifter manufacturer or a qualified person with guidance from the manufacturer. Before adjustments and repairs are started on a lifter, the following precautions shall be taken. A lifter removed from service for repair shall be tagged "Out of Service." Only qualified persons shall perform adjustments and tests when required. Replacement parts shall be obtained from TANDEMLOC, Inc.
After adjustments and repairs have been made, the lifter shall not be returned to service until it has been inspected according to paragraph 20-1.3.4. Dated records of repairs and replacements should be made. Adjustments and Repairs. Any hazardous conditions disclosed by the inspection requirements of paragraph 20-1.3.1 shall be corrected before normal operation of the lifter is resumed. Adjustments and repairs shall be done under the direction of, or by, a qualified person. Please contact your Tandemloc salesperson for more information. Download EAD21000A Standards For Tandemloc Sling & Below the Hook Lifting Devices Manufacturing & Test Specification Notes for complete details.